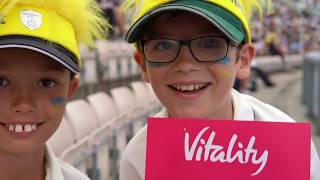 Ageas Bowl TV supplies you with the latest video content from Hampshire Cricket and the Ageas Bowl, from match footage and player interviews to training videos and community projects. 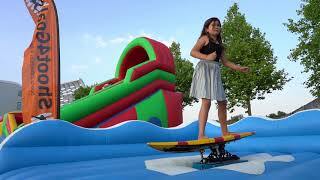 Hampshire Cricket Day At Paultons Park! Paultons Park hosted Hampshire Cricket for the day last week as many of our coaches set up some cricketing activities for the kids to enjoy. Mascots Roary the Lion (Hampshire) and Twinkle (All Stars) also joined us for some fun! Abbott & Vince happy with dominant display! Kyle Abbott and James Vince were excited with their team's display as Hampshire were victorious over Essex by an innings and 87 runs. Fidel's Five Rips Through Essex! Fidel Edwards speaks after his fantastic five-wicket haul as Hampshire dominated proceedings again on day three against Essex at the Ageas Bowl. Northeast Tons Up On Day Two! South African batsman Aidan Markram reflects on what has been a promising first day in Hampshire colours. Markram made 63 on debut and is delighted in what has been an enjoyable first week at his new club! Hampshire all-rounder Liam Dawson looks ahead to the season and takes a trip down memory lane by re-living last season's Royal London One-Day Cup Final. South African batsman Aiden Markram has arrived ahead of Friday's opening Specsavers County Championship match against Essex. Due to the bad weather, Hampshire trained indoors but Markram is extremely eager to get going in the Hampshire jersey. 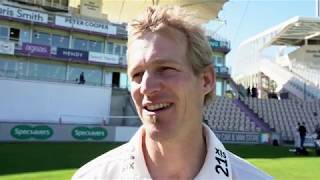 Dawson Reflects on IT20 Homecoming & The Ageas Bowl Show! 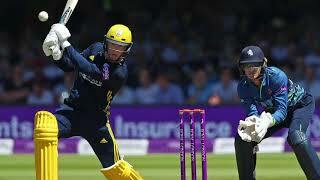 Ahead of England's much anticipated ODI against Pakistan on May 11th, Hampshire All-Rounder Liam Dawson reflects on his own IT20 appearance for England on his home ground. 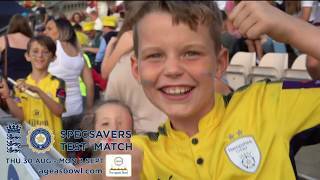 Dawson also expresses the family attraction around the Ageas Bowl and how he would love to see more! U17's Go Free At The Ageas Bowl! It's less than three weeks until Royal London One-Day Cup action returns to the Ageas Bowl and U17s Go Free to Hampshire v Glamorgan on Good Friday! James Vince's side won the competition in 2018 and have just added South African batsman - Aiden Markram - to their ranks as they look to defend their title. The Glamorgan clash on Friday 19th April is followed by big matches against Middlesex, Gloucestershire and local-rivals Sussex Sharks with discounted four-match passports priced from just £33! Tickets to see the Champions in action are available to purchase (at the advance rate) by the following the link below or calling 0844 847 1863 - U17s attending the Glamorgan match will be able to collect their free ticket at the ground on the day! Hampshire Cricket are delighted to announce the signing of South Africa batsman, Aiden Markram. The 24-year-old batsman will arrive in time for the start of the Specsavers County Championship curtain-raiser against Essex at the Ageas Bowl beginning on Friday 5th April, and will feature in both domestic red-ball and white-ball competitions until early May. His availability following this period will then be determined by his involvement in South Africa’s World Cup campaign, with the opportunity for Karunaratne to return in his place should the Sri Lankan captain’s playing commitments allow. Press Day, AGM & Forum Takes Over The Ageas Bowl! 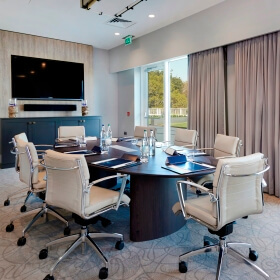 Despite the cricket still not quite being underway, it was nevertheless a very busy week at the Ageas Bowl with the Sponsors Lunch, Press Day, the Hampshire Cricket Members' Annual General Meeting and the Radio Solent Forum all taking place on Wednesday 27th March. Following the team photos, sponsor meetings and media interviews of Press Day and the Sponsors Lunch, Members arrived for the AGM and Forum to hear Hampshire Cricket staff, and later captain James Vince and First Team Manager Adrian Birrell, provide all the latest updates ahead of the season start next Friday. Check out the video below for a recap of all of Wednesday's action. Cricket returns to the Ageas Bowl to begin 2019! 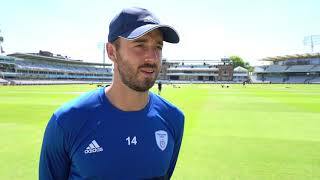 Friendly cricket returned to the Ageas Bowl this week with Hampshire welcoming Middlesex for a two-day fixture, with James Vince’s men going into the game fresh from a preseason tour to La Manga. 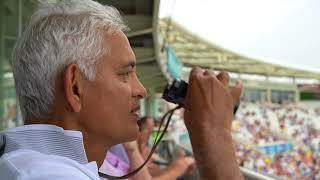 Take a look at some of the action along with an exclusive Member's lunch with new First Team Manager, Adrian Birrell! 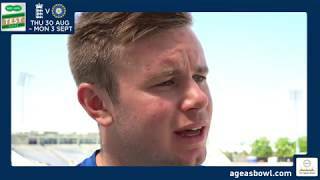 Following their recent tour to La Manga, a handful of players from the First Team squad reflect on the importance of our members and fans in the lead up to the season. 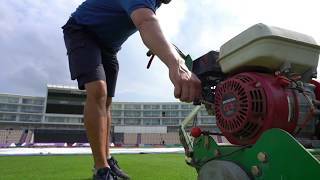 Hampshire Cricket visit La Manga! Take a look back at a brief warm weather trip to La Manga last week for our Men's first team squad! The Ageas Bowl will once again host of free, family-friendly activities available on-site for England's Royal London ODI against Pakistan on Saturday 11th May. These off-field activities include a climbing wall, giant inflatables, laser quest, power-hitting net, catching challenge, face painting and kids coaching as well as post-match entertainment. Hampshire Women were this week presented with the Royal London One-Day Cup as the Lord's Taverners hosted the team at a ceremony at the House of Lords. The event was an opportunity to celebrate the success of Charlotte Edwards' side last season, with the whole squad awarded the trophy and their winners medals by Lord's Taverners President David Collier on the day. Hampshire Cricket are delighted to announce a new partnership with Lucketts Travel. The Club has agreed a three-year deal with the Fareham-based travel operator to become the official travel partner, with the coach firm providing team transport for all of Hampshire’s away fixtures over the coming seasons. The squad will make use of Lucketts Travel’s new £400,000 VIP coach for all travel as part of the partnership, whilst Hampshire fans will also be afforded great-value coach travel to selected away games. Score A Hole-in-one With A Boundary Lakes Membership! 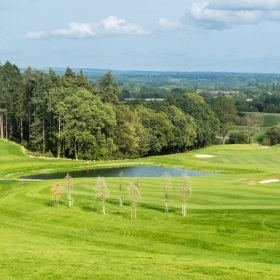 With April 1st and the start of the golf season looming, now is the ideal time to join the exclusive club of Boundary Lakes Members and enjoy the magnificent par 69 parkland course right up until March 2020! 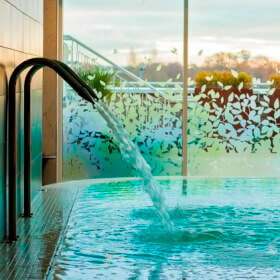 As well as allowing year-round access to the course and facilities, a Boundary Lakes Membership also unlocks a host of incredible benefits and perks - including the right to play for free at 16 reciprocal courses, a full Members' competition calendar, discounts throughout the Ageas Bowl and much, much more. Brand New Pro Shop Landing At Boundary Lakes! Join us over the weekend of the 16th and 17th of March for the grand opening of the 18-hole course's new on-site Pro Shop, and snap up our selection of exclusive opening weekend offers whilst you're there! Previously operated by American Golf, but now run by the Boundary Lakes Team themselves, the new Pro Shop will be fully stocked with a whole host of professional golfing equipment produced by the biggest and best-known brands - including Callaway, Odyssey, Cobra, Titleist and many, many more! Dimuth has signed a deal to become the Club's overseas player for the first half of the 2019 season, a period in which will see him feature in both Specsavers County Championship and Royal London One Day Cup fixtures. 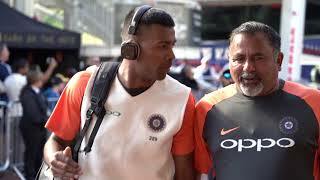 Karunaratne was appointed captain of the Sri Lanka Test side in February and, in his first series at the helm, he led his side to a historic 2-0 victory against South Africa, becoming the first team from Asia and just the third team overall to win an away Test series against the hosts. 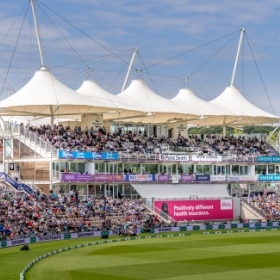 Following the launch of a brand new ‘Early Bird +’ offer for the 2019 season, the Club’s seven-match T20 Passport product – which allows access to all of Hampshire’s action-packed Vitality Blast matches at the Ageas Bowl for just £99 – has been hugely popular, with a 217% year-on-year increase in sales seen since being made available in late November. Ahead of individual Vitality Blast match tickets being released for general sale on Monday (4th March) at 10am, there has also been overwhelming interest following a priority on-sale period this week, with a 29% year-on-year increase in the tickets snapped up across all fixtures. What Can Brand New Assistant Coaches Alfonso Thomas & Jimmy Adams Bring To Hampshire? Meet County Cricket legend Alfonso Thomas and Hampshire fan favourite Jimmy Adams as they begin to get to work as our new Assistant Coaches for 2019. The pair bring a wealth of experience to help First Team Manager Adi Birrell during his first season! The ICC Cricket World Cup Trophy made its way across Hampshire this weekend: The Ageas Bowl, Southampton Guildhall and Places Leisure Eastleigh were but a few venues lucky enough to be graced with its presence. As the Trophy Tour rolls on up and down the country, take a look back at some highlights from this past weekend. Hampshire duo Mason Crane and Ian Holland have both committed to their future to the Club after signing new extended deals. 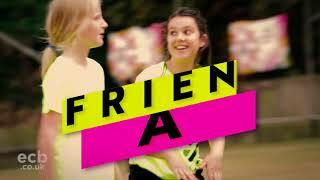 T20 tickets are available from 4th March! Alfonso Thomas and Jimmy Adams appointed new assistant coaches! Hampshire Cricket are delighted to announce the appointment of club legend Jimmy Adams & former South Africa seamer Alfonso Thomas as our new assistant coaches. 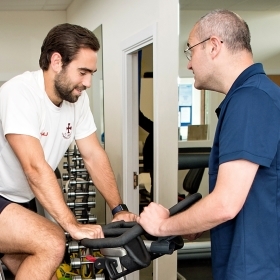 The pair will provide new First Team Manager Adi Birrell with a wealth of County Cricket experience heading into the 2019 season. Former Hampshire cricketer Sean Ervine is embarking on a mission to become a golf professional. Sean begins a series of tournaments in the Middle East next week and is thankful for the help Boundary Lakes Golf Course has provided. 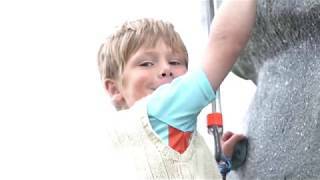 A number of iconic Hampshire Captains reflect on what Hampshire Members mean to them. 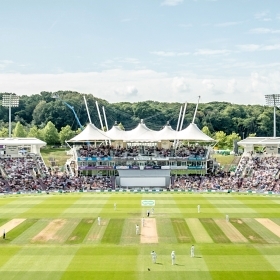 The Ageas Bowl offers a range of luxurious hospitality packages for all major events hosted at the world-class venue, predominantly at both domestic and International cricket fixtures. 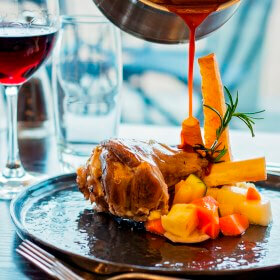 Get a taste of the range of elegant hospitality experiences that the Ageas Bowl offers in this video. 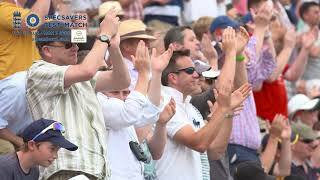 More than 50,000 spectators joined us at the Ageas Bowl for the thrilling fourth Specsavers Test Match between England and India. 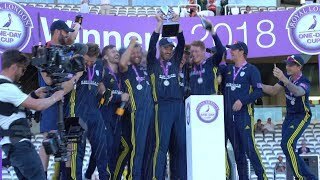 View the best highlights from the 2018 season at the Ageas Bowl. 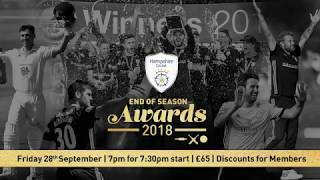 As the curtain falls on the 2018 season, hear from Jimmy Adams, Sean Ervine and Hampshire captain James Vince following the end of this year's campaign. 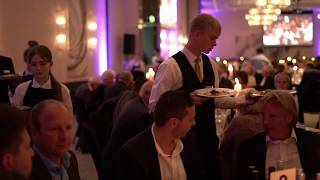 Take a look at the once in a generation 2018 Hampshire Captains' Dinner, a showcase event full of heritage and history which featured all 12 living Hampshire Cricket captains. Hampshire and England leg-spinner takes in a Vitality Blast match from Hilton's Best Bed. 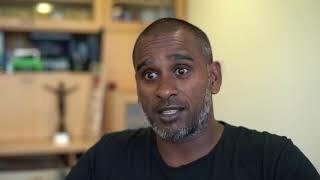 The South African legend, who has claimed more than 650 International wickets, reflects on what it's like to play at the home of Hampshire Cricket. Hampshire legend and former captain Robin Smith returns to the Ageas Bowl for the once-in-a-generation Captains' Dinner event later this month. Hampshire captain James Vince and former skippers Dimi Mascarenhas & Jimmy Adams look ahead to the Club's Captains' Dinner later this month. Hampshire and England leg-spinner Mason Crane talks about what it's like to represent England at the Ageas Bowl. A look back one month on from that fantastic occasion at Lord's as James Vince's side secured One-Day Cup glory. 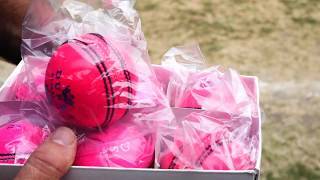 Take a behind-the-scenes look at Hampshire Cricket's annual charity match against Hartley Wintney in aid of Hampshire Cricket in the Community. There were smiles all-round throughout this summer's Vitality Blast campaign. A look at the many areas that provide hospitality to our guests here at the Ageas Bowl. 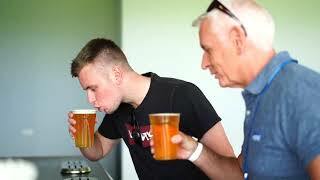 A lot of preparation goes on here at the Ageas Bowl ahead of each Vitality Blast contest. Head behind the scenes at the 2018 Southern Vipers Press Day. A host of Hampshire Cricket plauers were joined at the Ageas Bowl's Boundary Lakes by World Golf Trick Shot Champion, Geoff Swain. 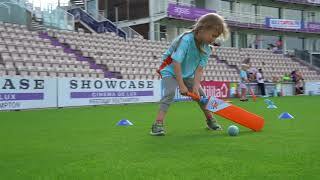 To celebrate the end of the All Stars season we joined a session at the Ageas Bowl to see some of the youngsters in action. In aid of The Beefy's Charity Foundation. 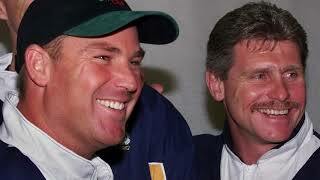 Sir Ian Botham and Andrew Johnson headed to Boundary Lakes. As the Ageas Bowl's biggest ever match approaches this summer, we look back at the last time England faced India at the Ageas Bowl in 2014. 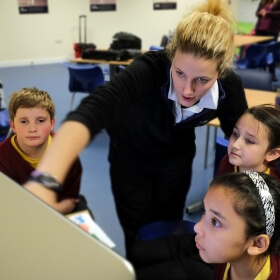 A host of free, family-friendly activities will be available on-site for England’s huge Specsavers Test match against India this summer, beginning on Thursday 30th August. Sunday 22nd July saw the Ageas Bowl host its first ever Outdoor Cinema event with Disney's classic tale, The Lion King, chosen as the feature film. The highlight of Hampshire Cricket's social calendar will take place on Friday 28th September at Hilton at the Ageas Bowl. 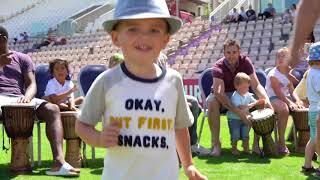 The was plenty of fun in the sun for all ages at the Ageas Bowl during Friday's Vitality Blast match. We caught up with overseas recruit and mystery spinner, Mujeeb Ur Rahman, ahead of the 17-year-old's first Hampshire appearance. 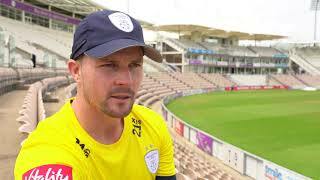 Watch our first chat with new arrival Colin Munro as he talks about joining up with the Hampshire squad ahead of this summer's Vitality Blast. A host of Hampshire Cricket players enjoyed a morning on the River Solent on Tuesday (2nd July), as part of a team-building exercise leading into the start of this summer’s Vitality Blast competition. Take a look as we capture the celebrations from Saturday's Royal London One-Day Cup final victory at Lord's. 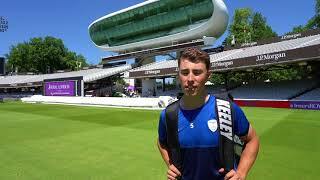 Joe Weatherley: "I Can't Wait To Play A Final At Lord's"
Hampshire batsman Joe Weatherley is looking forward to playing his first Lord's final on Saturday. Hampshire captain James Vince is relishing the "fantastic opportunity " his side have on Saturday as they take on Kent Spitfires in the Royal London One-Day Cup Final. Chris Wood: "The Memories Of 2012 Excite Me"
Hampshire seamer Chris Wood is excited for the chance to win a second one-day title at Lord's following the Club's 2012 triumph. 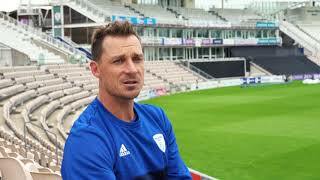 South Africa paceman Dale Steyn is looking forward to his time with Hampshire and playing at the Ageas Bowl as he prepares to make his debut this week. The Ageas Bowl's Hilton hotel welcomed a host of VIP guests on as the venue hosted an exclusive Ashes Sleepover event to celebrate the start of the 2017/18 Ashes.